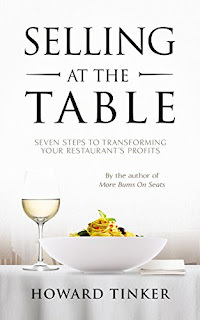 The restaurant owners staff training guide for increasing the amount diners spend each visit. Ideal for anyone in hospitality who wants to increase the businesses profitability. Howard Tinker details a highly successful sales process that was developed over 25 years at one of Sydney's most iconic restaurants. As well as higher sales results the process delivers a framework for a higher level of service too. The Selling At The Table sales process has been successfully adapted for use in cafes, bars, hotels and function centers with immediate increase in sales revenues reported.